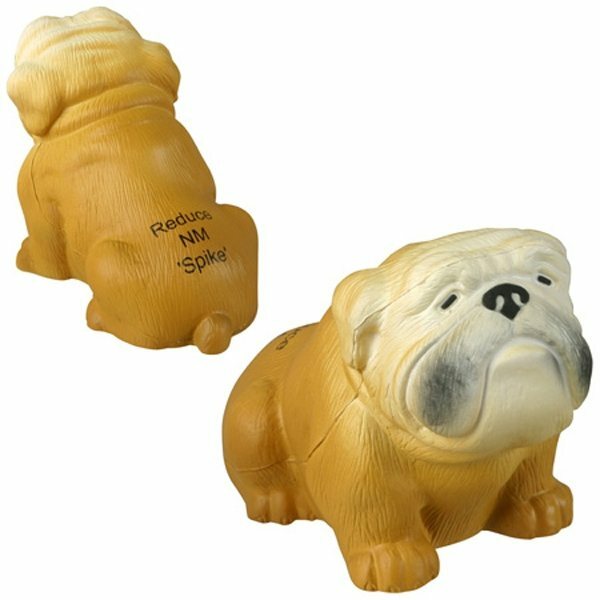 Bulldog - Stress reliever in the shape of a farm animal. Everything came out nice. the product from AnyPromo came fast and was great quality, this was one promotion item that my customers asked for. I will definitely buy from AnyPromo again and again. We will give them away at our community day that our town has each year. Liked that they were individually wrapped; can't think of what I don't like. It was unbelievably easy to order. the overall look is what I liked most and the imprint looks great.